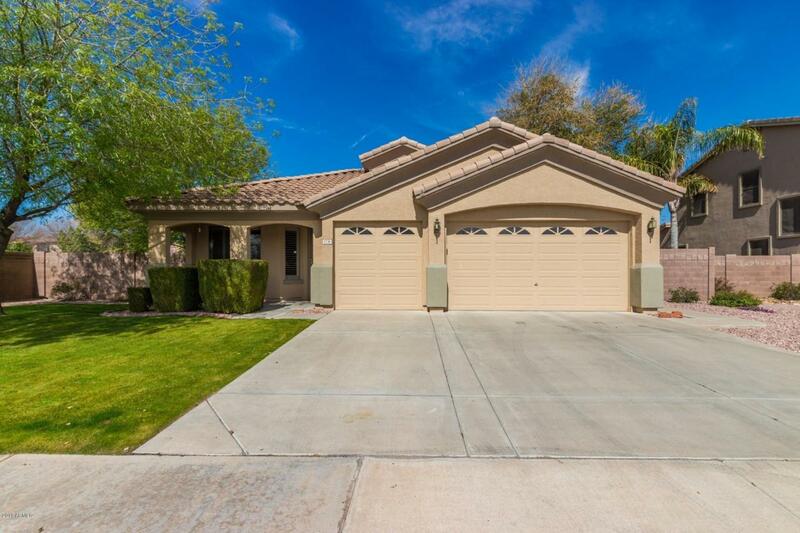 This single level 4 bedroom home is located in the desirable Creekwood Ranch subdivision & is walking distance to Santan K-8. 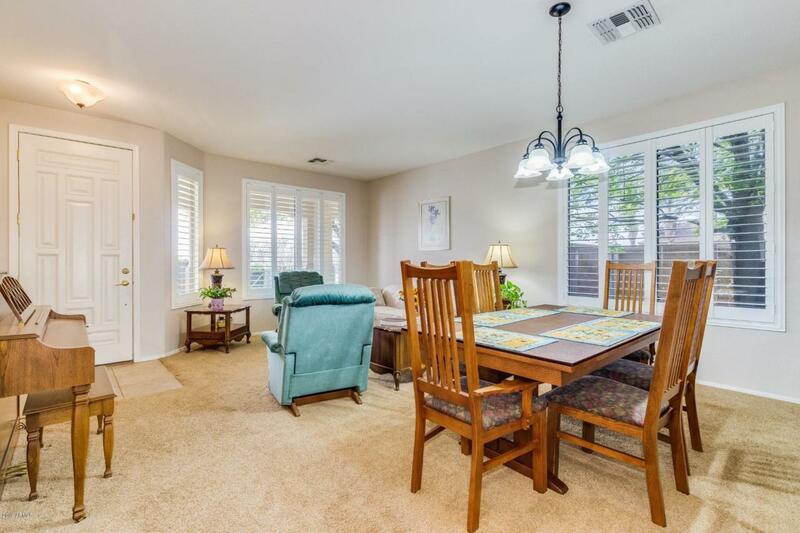 This well-maintained home offers lots of living space with both a formal living/dining room & an open Family Room area off the large kitchen. The kitchen has a large Corian Kitchen Island with a den area off the kitchen that could also be another option for a dining area/bedroom. The split floor-plan offers a private over-sized master bedroom with a large walk in closet, dual sinks & a separate shower & tub. 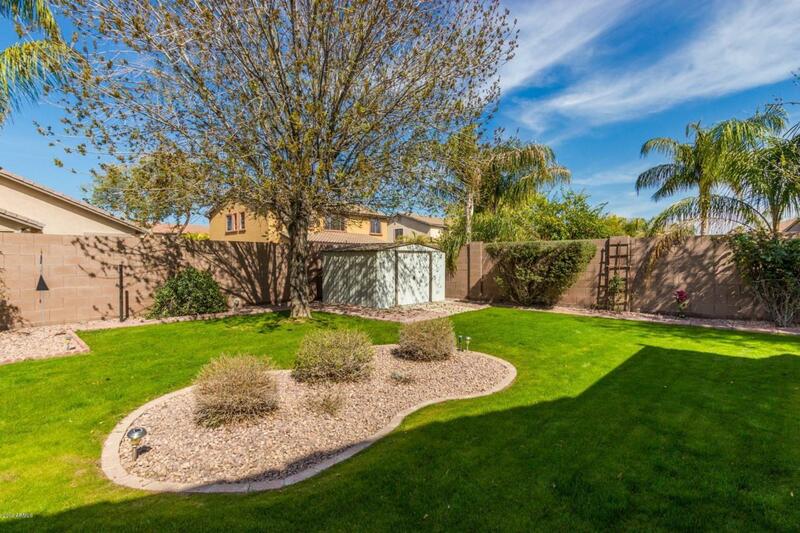 The backyard has a covered patio, nice green grass, fruit trees & a charming porch swing. 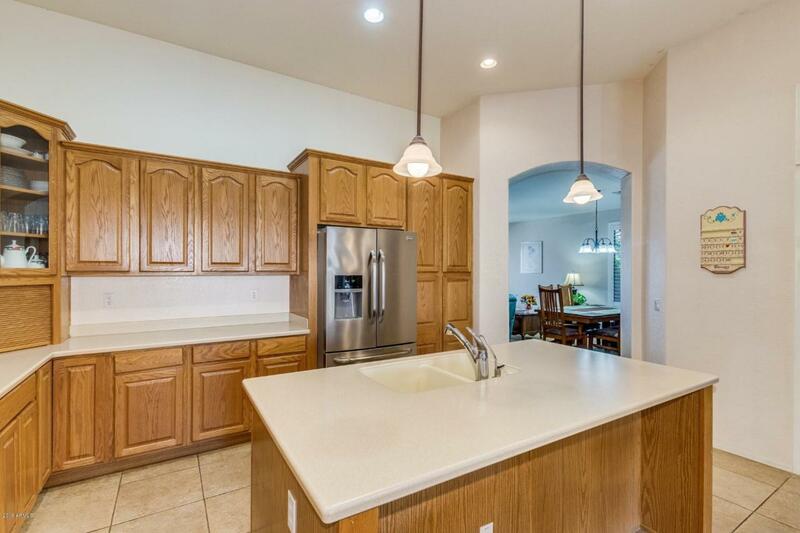 The laundry has extra cabinets, the garage has pull down storage & many closets have extra storage. $1000 credit offered to buyer for closing costs or upgrades. Listing courtesy of Ann Adams And Associates Realty, Llc.